Here are the latest dates, and I have attached a nice photo. Please let me know if there is any more info that you’d like. Apologies: Alan Perkins, Erika Sloper, Chris Rose, and Alan Cross. Minutes of the last meeting were accepted as a true record. Proposed by Cllr Susan Phillips and seconded by Sylvia Blunt. It was announced, by the Chairperson, that Donna Hamlet had agreed to be the Treasurer for WWWEPAF. The Chairperson introduced Cllr. Nicola Greene who will not be a Candidate for this ward at the next Council elections due to the reorganisation coming into effect on 1st April 2019. Cllr. Nicola Greene reflected on her time over the last 12 years as a Councillor for Wallisdown & Winton West Ward and to say her goodbyes. Cllr. Greene express her sadness in leaving our ward. Due to the Local Government reorganisation councillors to represent this ward have been reduced to two. Reluctantly Nicola will now be a candidate for another ward in the new BCP Council. Cllr. Nigel Hedges and Cllr. Susan Phillips plan to continue the good work that they have upheld since they were elected. Cllr. 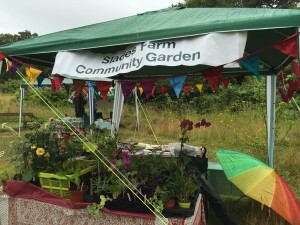 Nicola Greene used as an example that residents and councillors working together for the benefit of the local environment produce successful results. The proposed student block of 46 rooms in Victoria Park Road, and how, by supporting each other with leaflet drops organised by Carmel Bending, the plans were rejected and eventually houses built, a much more acceptable outcome to local residents. We wish to thank Cllr. Nicola Greene for our success. Cllr. Susan Phillips reflected on how much Cllr. Nicola Greene has helped her to become the Councillor she has become today. Cllr. Nicola Greene thanked Cllr. Susan Phillips for her kind words and wished us all the best for the future, saying good bye as she had to attend another important meeting. Cllr. Nigel Hedges has been busy helping local residents in Vicarage Rd. Cllr. Hedges and Cllr. Phillips will be candidates for the BCP Local Elections in May to carry on the good work that all three councillors have delivered over the past few years. The new Local Government Reorganisation will be a challenge. 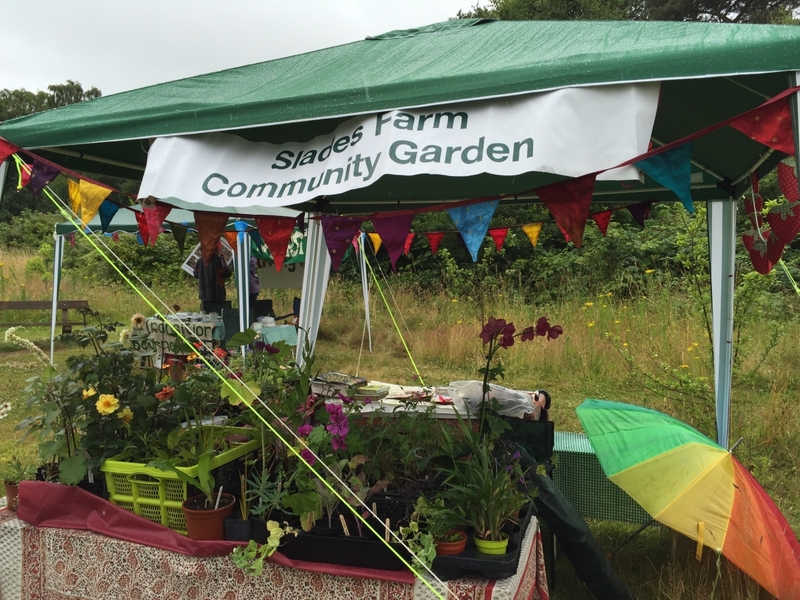 We have been allotted £14,000 of the Community Infrastructure Levy. This will be used to enhance the ward, such as additional litter bins in Dawes Avenue and Glenmoor Rd to accompany the dog bins. Residents have to cope with students living in their neighbourhood. A recent HMO was requested, but supported by Ward Councillors, the plans were refused. Again a joint effort from Councillors and residents of Fernside Rd proved a success. An HMO in Vicarage Rd has been approached in respect of the area they are responsible for. Three HMO applications have been made for Greenwood Rd which will require some attention. There are Concerns in respect of roadwork repairs on Wallisdown Rd but the carriageway is completely worn out. Main priority is being given to pedestrians and cyclists to eliminate dangerous situations. 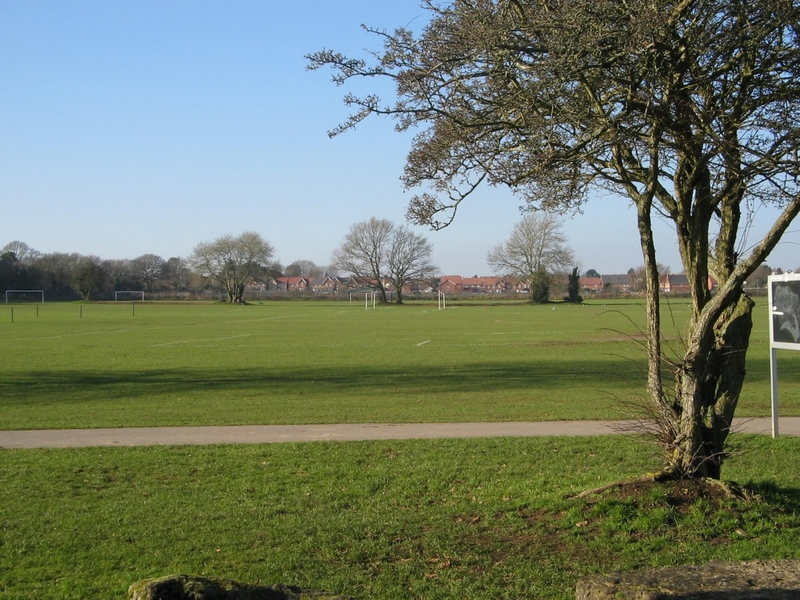 With L G reorganisation, Branksome East and Talbot Woods have merged as one where three councillors will represent the enlarged ward. Work will be going on both sides of the ward to ensure co-operation of both sides of Wallisdown Rd. Nearly all drains been done now, with help from Shirley! Local residents found a very valuable piece of equipment was reunited with an employee who had this removed from his vehicle who would have had to pay for it out of his own pocket. The council workers praised the residents and said what a fantastic group of neighbours in your Ward. A resident highlighted how a parking issue was quickly dealt with by involving Cllr. Susan Phillips. This resulted in a” dropped kerb” with markings. Our resident wished to encourage others to highlight their challenges with our Councillors. A new Mulberry tree has replaced the dead one in Canford Ave. This is now next to new litter bin. A snapshot of issues have been dealt with: yellow lines, parking, litter and intruders in the church, by working with new Police Team. Cllr. 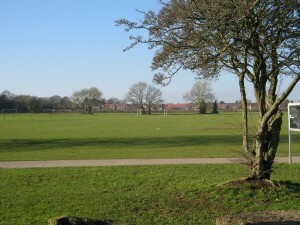 Nigel Hedges thanked residents for their continued co- operation in raising issues, such as the School in Vicarage Road which have now been resolved. The Chair thanked our Councillors for their contributions and invited any questions from the floor. Residents raised various issues of motor vehicle “rat runs” in the area, such as speeding traffic in Priestly Rd and Dawes Avenue. Community Speed Watch or SIDs (Speed Indicator Devices) may be the answer along with re-profiling the speed humps. Cllr. Hedges is expecting that the improvements to Wallisdown Road should help this situation. Our Councillors are communicating with the highways dept in respect of speeding traffic and irresponsible parking. Unfortunately there is no law to this situation and if you should leave a message placed under the windscreen you could be charged with damaging the vehicle. Ensbury Ave has experienced similar practices. The corner near the school is particularly dangerous. A resident commented on the risk of an accident in Ensbury Avenue opposite Tregonwell School. It was also suggested that double yellow lines either side of the Slades Farm car park entrance should alleviate ‘blind spots’ when entering Ensbury Avenue. Cllr. Susan Phillips agreed to contact the necessary dept. We are able to confirm that this has been fulfilled. A resident commented that Dawes Avenue is known as a Blue Route and prioritised for gritting! Cllr. Hedges had noticed the impatience of a driver in Dawes Avenue endeavouring to overtake him while he was driving with consideration to the speed restrictions. Speed humps don’t actually seem to slow traffic this is just down to inconsiderate driving. Cllr. Hedges has requested that speed humps should be across the middle of the road (Dawes Avenue) to prevent slaloming. There are various types of speed humps within the ward and some are falling into disrepair, these issues should be flagged up with the Council and by informing our Councillors. Finally Nicholas Gdns are experiencing people driving at speed into a cul-de-sac even though there is a sign. Councillor Hedges will request an additional signage. Cllr. Phillips highlighted the past four years of removing graffiti in Boundary Rd and around the ward. She made her mission to eradicate this blight from our ward, although at a cost, it has since ceased to be a problem, but requested that residents please report it straight away. The graffiti team work tirelessly to keep our town clear of this. White`abandoned` (furry green) van now GONE. Removed by the Council under environment/DVLA powers from Kinson Road/Old Mulberry Close corner (Aldi Car Park). Cllr. Hedges has received a response from Aldi properties dept in respect of re-opening the much needed public conveniences in Old Mulberry Close which sadly have had to be closed due to lack of respect and vandalism. There is a possibility that interest in getting this block sponsored by the local traders. Sgt Guy Nicholas of the Neighbourhood Police Team would be in favour of these being brought back into public use if opened during daytime and checked regularly . Cllr. Hedges thanked the 150 local residents who have kept this issue alive and hopefully will experience a positive outcome. A resident asked if we have enough Parking Wardens in Bournemouth? Cllr. Hedges responded NO! Due to people parking anywhere and everywhere without any consideration, there has been some activity in Vicarage Road, unfortunately there is a new bus bay which has a complicated sign that residents and visitors are not able to understand. This is causing misunderstandings of usage. Cllr. Hedges will contact highways for clarity. The question raised was; why is it necessary for this to be 24 hours a day 365 days of the year? The parking meter in Slades Farm car park is constantly breaking down. Cllr. Hedges and Cllr. Phillips asked to be copied into any reports. Cllr. Phillips informed the meeting that there are two car parks in Bournemouth still taking cash: Richmond Gardens and Avenue Road. Councillor Hedges confirmed we are heading towards a cashless society! This will prevent vandalism to cash machines and Parking Meters. Cllr. Hedges is having ongoing dialogue with the Head teacher of Winton Primary school, residents and highways. There is an issue arisen where the school staff are parking and people coming out into Oswald Close. With the new authority after April, hopefully this will be back on the agenda for a future resolution. A resident highlighted the ongoing problems in Glenmoor Close, Mr Antell, the Head teacher of Glenmoor Academy was abused by a driver who was inconsiderately parked. The school are working hard to improve the situation. Another resident highlighted having witnessed the inconsiderate parking in Boundary Road during school pick up time. Due to the lack of traffic wardens the problem of irresponsible parking will be difficult to control, although Cllr Hedges confirmed he has himself received two parking tickets a month ago! Clive was very enthusiastic in the progress of the New Slades Park Pavilion now nearing completion. 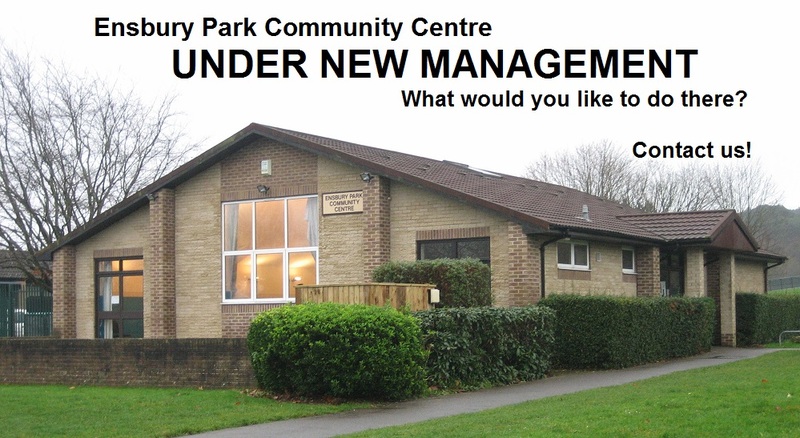 On Saturday 30th March 2019 there will be a CONSULATION EVENT held at the Ensbury Park Community Centre running from 14.00 hrs-17.00 hrs. 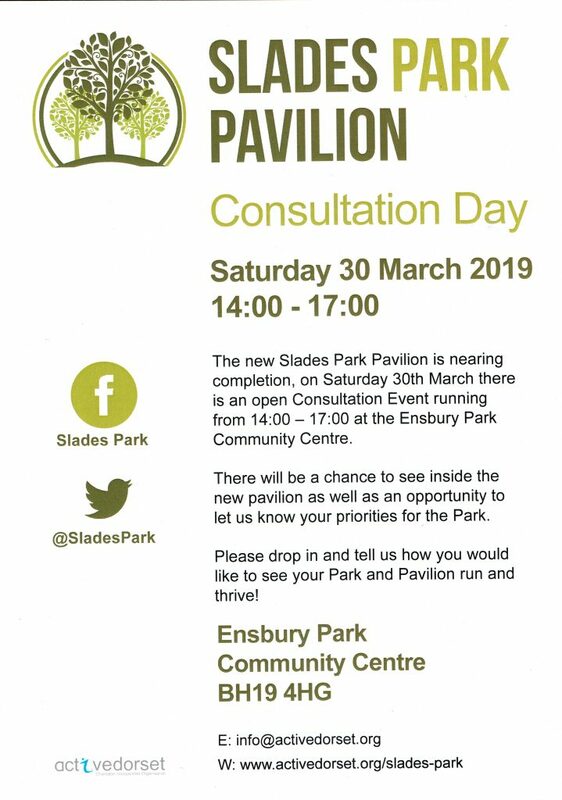 There will be a chance to see inside the Pavilion as well as the opportunity to let them know your priorities for Slades Park. All residents are welcome to come along to have` your say`! 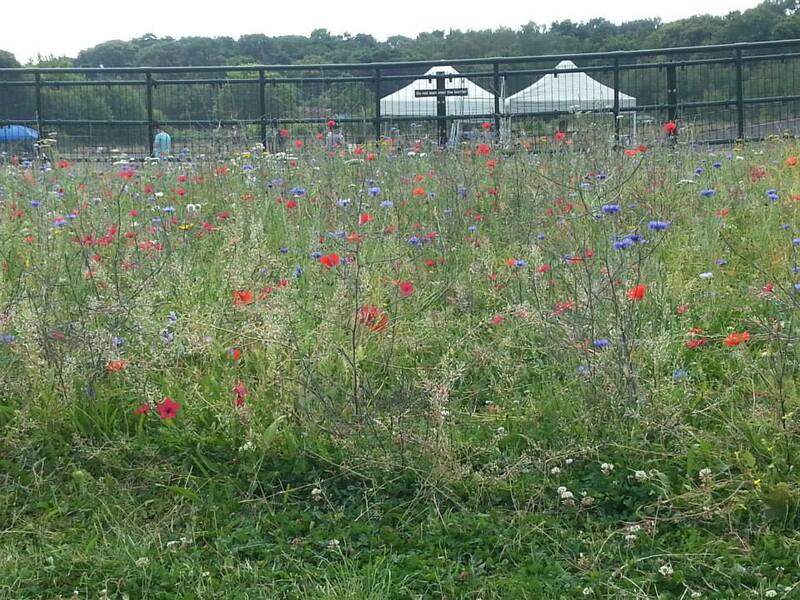 Please let us know how you would like to see your Park and Pavilion run and thrive. LIZ DAVIES came along to promote the work of THE CHARITY SHINE. SHINE Project established across Bournemouth, Christchurch and Poole. 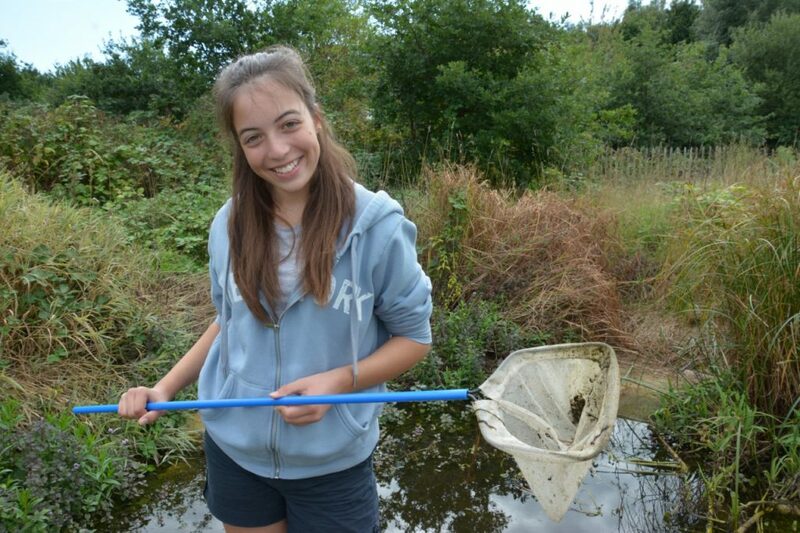 Running mental and physical wellbeing courses for teenage girls in nearly all the schools. Our local interest is Glenmoor/Winton Academies. Liz shared statistics of self-esteem, anxiety and looks, performances in school and relationships. Shine seeks to encourage girls to look after their wellbeing. Supporting mental and physical health, especially promoting healthy eating. Liz highlighted that there is a whole epidemic of contributing factors to poor mental health of teenage girls in our society. Shine has been involved in the area for 12 years and have had a long connection with Glenmoor School which has really seen an improvement in the pastoral care over the time Shine has been working with them and how they are supporting the girls to get them through these difficult times. Promoting confidence in ones-self. One way of doing this is to be a volunteer. If anyone is aware of any opportunities within the ward/ area that can be offered to Glenmoor Girls, please let Liz know. Liz asked the meeting to help raise the profile of this small charity and Facebook page. There is a health and wellbeing event at The Pavilion in Bournemouth on Feb 11th to help support the girls. Liz thanked the meeting for allowing her to speak today. Amanda Nicholls clarified her role with the local community, has worked for BBC for 24 years. She is now Assistant Community Liaison Officer involved with a whole range of responsibilities working with volunteers with all the Community Centres in Bournemouth. Amanda is now working in this area and is involved with the Community Development also the WWW Neighbourhood Action Group. The next meeting is at Crumbs, Hibberd Court on 5th March at 4.30 pm. All community spirited residents are welcome to attend. These meetings are quarterly where we require more residents to be involved with ideas for local improvements. We also need to curtail Vandalism and Anti- Social Behaviour. Amanda Nichols came along to promote BGN 3 categories: deadline next week. Nominating and putting forward great things that are happening in our communities. You can nominate your street, your community. Nominations can be done through the leaflets here or online. Deadline is next week. Communities can come along pay for soup and bread and then listen to 4 or 5 charities pitching for a small amount of money for a project. The attendees then vote for which project receives the money. Next lunch is on 6th Feb at St. Johns Church, Moordown. Website : www.bhsoup.com Deadline for next nominations 23rd January 2019. Goes `live` on 29th January 2019. A chance to support our local community. Charities or local groups nominate themselves as a worthy voluntary / charitable organisation. 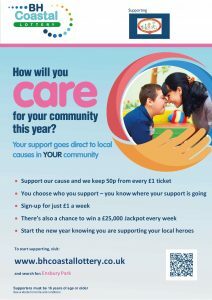 Residents who participate in the Lottery can choose which charity they wish to support. Your contribution is equal to £1 per week with a one in fifty chance of a win. 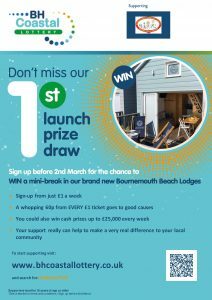 There is a chance for residents to win a top prize £25,000 per week starting with the first draw on Saturday 2nd March 2019. The odds for this lottery are very good! Chairperson thanked everyone for coming. Meeting closed at 12.10 pm. 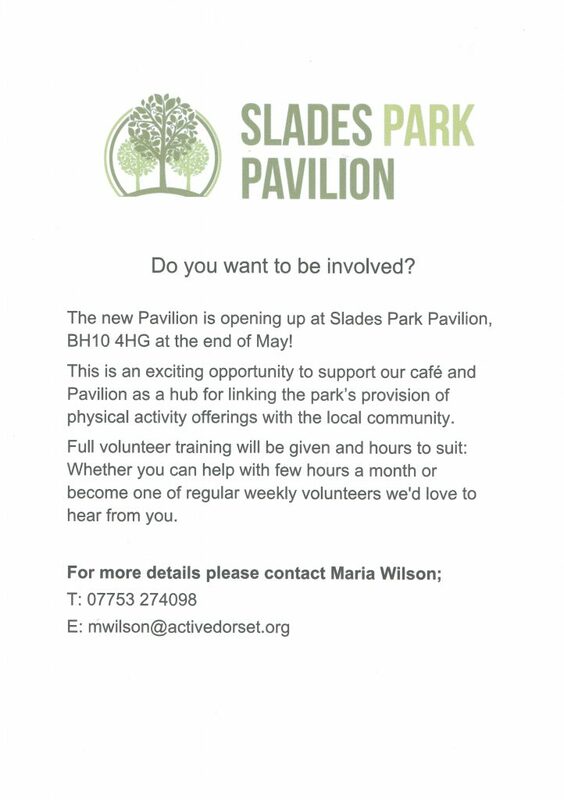 Next Area Forum Residents Meeting will be on Saturday 18th May 2019 at the New Pavilion on Slades Farm. Cllr Nigel Hedges proposed the acceptance of previous minutes and these were seconded by Allan Perkins. No matters arising from previous minutes. A letter was received from Mr. Peter Herbert, Head of St John’s School, regarding anti social behaviour and criminal damage at the Moordown Primary School. It was also noted that there had been problems at St John’s Church but these had not been reported to the Police who were unaware of these incidents. The NPT officers have been patrolling in the church yard and around the school on late night shifts. · Vicarage Road issues – Mr. and Mrs. Raggett of Vicarage Road had been in touch with Councillors and, in attendance at the meeting, confirmed that most if not all issues raised (illegal/unlicensed HMO, asb/noise incidents, litter and rodent issues) had been promptly addressed by Council officers dealing with those specific issues. The unlicensed HMO had seen the residents there ‘given until May’ but being led by Cllr Nicola Greene, the local Councillors would challenge this lengthy spell of leeway brought about by over confident letting agents. · 42 Fernside Road – the proposed HMO with a pending planning application had generated much paperwork and e-mail traffic (evidenced by Councillor Hedges) thanks to the vigilant efforts of Resident Mr. John Dymott. Various aspects of the planning process were discussed and objections, many in number, had been registered already. Various inconsistent aspects of the web site information will also lead to enquiries from WWW Ward Councillors. · Oswald Road – Cllr Greene had flagged up a Resident whose access to her drive was an ‘unsafe a daily challenge’ for her and her disabled husband. Cllr Hedges reported visiting them at Cllr Greene’s request and had gathered evidence along with opened and continued dialogue with Mr Tarchetti, head of Winton Primary School. There was a renewed interest and support for ‘planters’ on a corner to obviate cars parking fully on the pavement there. It was referred to possible funding from “Community Infrastructure Levy*” funding which is available to WWW Ward to assist in this and other projects mainly suggested by Residents to their local Councilors. ( Acton Road) and benches , ‘notice board’ ( Bascott Road ) , where needed/requested once community support had been received and the bid(s) submitted to the CIL grant board with the full support of the Ward Councilors. · Cllr Hedges introduced Jacqui Vallard , whilst not a WWW Resident , she assists the more vulnerable senior residents in Bascott Road ( Coffee Club ) and Cllr Hedges referred to the Bascott Road “Scampack” presentation by the Police and Deirdre Redstone , NBCPP Crime Prevention Panel/Project Coordinator NBCPP Telephone Helpline 01202 241380 M.0749 5188 439. Jacqui Vallard then addressed the meeting outlining her support and observations about combating loneliness with ‘out and about’ days , coffee mornings and informing the residents of outside supporting agencies and services freely available to them along with tradesman advice and safety aspects of unsolicited calls/callers. Cllr Hedges thanks Mrs Vallard for her support for our Ward’s residents. · Cllr Hedges thanks several Bournemouth residents including Mrs. Vallard and some in attendance that whilst not strictly WWW Residents assisted and advised Councillors of vital issues effecting our residents, some of a serious nature (such as serious ASB and threats, crime and other issues which are now thanks to their communications on the Police’s ‘watch list’ seeing an assurance of revision of night shifts from Sgt Nicholas of the Neighborhood Policing Team. · Cllr Hedges mentioned the encouraging and increasing positive communications with the Police stemming from Supt Jared Parkin’s new approach and briefings from high ranking Police Officers inside and outside of the Town Hall on serious issues facing Residents. · It was noted that ‘red pillow’ speed humps in Vicarage Road were failing with four ‘loose’ bolts being retrieved from the road by Mr. Raggett. 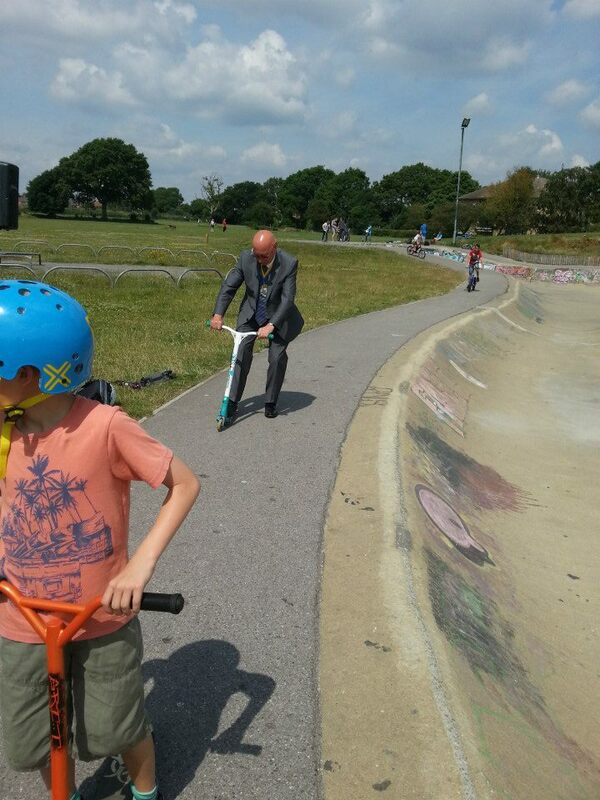 Cllr Hedges would revisit the road and report to Highways for rectification(s). · Cllr Hedges reported his increasing and positive communications with Mr. Peter Herbert, Head of Moordown St John’s in Vicarage Road. · Cllr Hedges agreed to follow up many issues raised from the floor by talking to Residents after the meeting face to face. Cllr Hedges and Cllr Phillips thanked Mr. Alan Perkins for his efforts advertising the meeting which saw several new faces in the audience. Cllr Susan Phillips informed the residents at the meeting that she was pleased to be back in business and would be pleased to hear of any new issues. LIF (Local Improvement Fund) has now changed to CIL (Council Infrastructure Levy) and if anyone has a request for a bench or such like to improve the environment for residents, please let her know soon. A resident raised the issue of leaves blocking drains and causing a danger for elderly people slipping up. The parking on the corner of Talbot Rise and Columbia Trees Lane, is adding to the danger with speeding drivers. As this involves moving vehicles, this would be a police matter. Cllr Hedges recommended that any of these issues could be forwarded to him by email. Cllr Hedges and Cllr Phillips have agreed to follow this up. The Chairman was approached by a local resident prior to the meeting who also wished it be noted that he was not happy with the speed of traffic and leaves in Columbia Trees Lane. the transition into the new Council. A resident asked if priorities between the Councils would be maintained as they are at the present, Cllr Greene explained the complexities of each Council with different Social Housing policies which will have to be brought together over a period of time. The Chairperson asked if Ward Forum Meetings would continue after 1st April. Due to the complexities of the new Council forming in April it may be wise to hold the meeting the following month. The outcome of the recent leaflet drop introduced five new residents who were interested to convey their concerns to our Cllrs. One resident had found information of the meeting on the Council website. A previous resident of our Ward was invited to our meeting and praised the dedication of our Cllrs from his past experiences. Cllr Greene promoted that these meetings are for the residents, other approaches can be pursued if the residents would like to add to the agenda. Cllr Hedges highlighted the recent success of The WWW neighbourhood action group which took place at Crumbs. The Chairperson wishes to thank Erika Sloper for organising at this venue. The issue of card only payments in some of Bournemouth’s car parks was raised. This leads to confusion for drivers. Cllr Greene responded by saying that vandalism issues have resulted in unfortunate financial costs for the Council to rectify. A request for the details of car parks with/without card/cash payments was suggested for the BH Life quarterly Magazine. Various parking payment schemes were discussed. A parking refund scheme is being discussed by some shops in Bournemouth. The benefits of technology used in Christchurch with parking systems have created a more environmentally friendly system, i.e. less paper issued. The issue of students bringing their cars in addition to existing traffic in Bournemouth was discussed and the problem of pollution was raised. Thanks were given by a resident to all who enable these Ward meetings to take place four times a year. 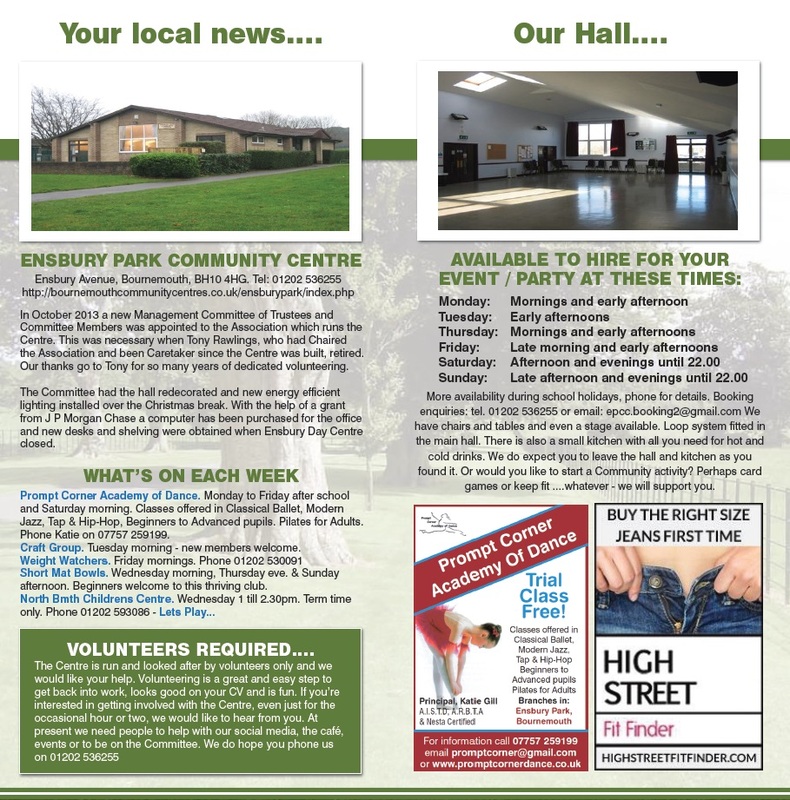 PCSO Susie Elliott has managed to give Community Consequence Scheme letters to a number of boys who have been causing issues at Ensbury Community Centre. Police Officers have managed to get names of boys involved with issues at the skate park and that they will be dealt with. Two student officers spent a lot of time focussing their patrols in the Glenmoor Rd and Norton Woods area in September and we will continue to do patrols when possible. We haven’t had any drug dealing reports recently. We would be pleased if residents are willing to contact Dorset Police on 101@dorset.pnn.police.uk with times descriptions and VRMs if possible. Irresponsible parking issues by parents parking on pavements and driveways when collecting their children from school. A suggestion has been forwarded in respect of decorating the area with planters to deter the parking of vehicles on the pathways. A resident expressed his concerns of lack of response from the police when called. Cllr Phillips has been in touch with a local resident and she in turn has been in touch with police, an arrest was subsequently made for drug dealing. The Chair Person thanked everyone for coming along and promoted the fact that a number of topics/ issues/ concerns have been raised today. The meeting was closed at 12:10 p.m. In reply to Cllr Hedges e-mail, since looking at Slades the team have managed to get a few names and now start to deal with them and use the Community Consequence Scheme. Surprisingly a number of those offending were not from the local immediate area and have now been visited in a partnership approach. My understanding was that issues had subsided a little and the problems had reduced. 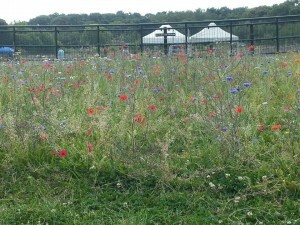 I am not naïve enough to state they have totally gone and as such a large park we will get a few issues. The issues raised in the pictures attached are not reflecting what we had a number of weeks ago. Also looking at the fact we are in the middle of half term and the number of incidents recorded over the last month since 25th Sept show a total of 21 incidents of which, 3 x ASB and 4 X nuisance bikes on the park. There was an incident last night which we are following up with different young people being mentioned and will be liaising with the local schools as they have been identified. You have asked for my thoughts, young people building a ramp for their bikes, I think that one has been answered there. What I would of liked to have seen was the photo taker or Active Dorset (who I believe are working in the area) to engage with these young people and potentially use it as an engagement tool to look at solutions and have them part of solving it long term. Barriers being thrown over into the pavilion site, we will continue to patrol as best we can and look to deal with it appropriately. However the site still looks like a building site if not derelict, which we all know wrongly, agreed is an attraction for this behaviour, if it looks like a tip it will be treated as a tip (broken window analogy). Once that location is up and running and serving the community the problems will subside. What are the completion dates and can pressure be applied to the site.
. It’s very simple to report to the police such incidents as listed and shown in the pictures attached, however if those reports are of children building a ramp for their bikes and barriers being thrown about compared to what we had two months ago then I like to think we are heading in the right direction and will obtain sustainability rather than quick wins. You have our reassurance that criminal or ASB issues will be assessed and looked into by attending officers. ❤ your locality? The Local Area Forum is looking for new Committee members. As a Group we inform residents about local matters and seek to influence Council decisions. There are four Public meetings on Saturday mornings and four Committee meetings each year. Whatever your skills we will be happy to use them for the benefit of local residents. Meet people and enjoy yourself. For more information either email us at contactus@wwwepaf.org.uk or phone our Chairperson Bernie on 07553 276089. What would you like to do there? Contact us!